The Ukrainian government said Thursday it has reached a crucial deal with its international bondholders to lighten its public debt burden, a move that will help the country avoid default as it tries to cope with the devastating costs of war. As part of the deal, investors who own Ukraine's bonds will write off 20 percent of their holdings, shrinking $19 billion in sovereign debt to $15.5 billion, Prime Minister Arseniy Yatsenyuk told the government. The deal will also extend the payment period on the government bonds by four years through 2027. Payments on the bonds will depend on the growth rate of the economy, which has been battered by a separatist war in the east. Ukraine will pay nothing on its bonds if its economy grows less than 3 percent annually. The debt relief is part of a broader financial support program agreed on with the International Monetary Fund. The IMF announced in February it would raise some $40 billion for Ukraine. About $15.5 billion of that amounts to new loans from the IMF, with smaller sums from other sources. More than a third of the total is meant to be unlocked by the renegotiations of debt. Earlier this month, the IMF gave Ukraine a passing grade on its efforts to reform its economy and political system but it has insisted on the need to agree on the debt relief with private sector bondholders. Ukraine's economy contracted by a stunning 17.6 percent in the first quarter of the year compared with a year earlier, when the separatist conflict in the east erupted. 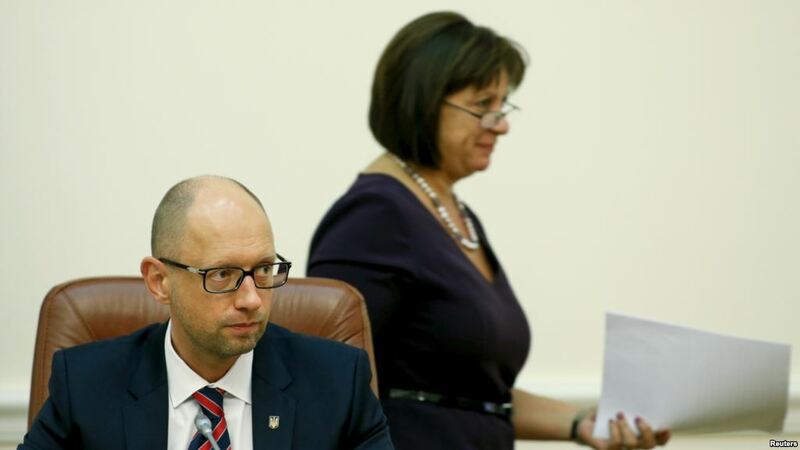 Finance Minister Natalie Jaresko said Ukraine will use the saved 20 percent to spend it on social issue and national defense.